Your home’s storage capacity is certainly tested over the holidays. This is when you and experience an influx of new stuff. There could be new close for the closet, new toys for the toy box or even a new big-screen TV for the living room. Bringing in all that stuff means you need to make room and the best way to do that is to get rid of old stuff. This is probably something you don’t want to think of as your enjoy the holidays before the New Year kicks off you might want to schedule an appointment with Junk King Sarasota. 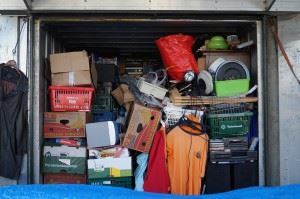 These are the junk removal professionals that can clear out all your unwanted stuff and make room for the new goodies. When it comes to being crammed with clutter our closets are the worst offenders. If you were to spend an hour going through all your outfits, then you would probably discover that there are a lot of things you would never wear again. Do you really need to hold onto that stuff? Not take that same approach with your garage and basement. How many old computers, microwaves, televisions, DVD players and monitors are you holding onto “just because?” Now imagine what it would look like if all of that clutter were gone. You would certainly have a lot more open space and you would have a better handle on how to organize that space. All of that can happen with one call to Junk King Sarasota. Junk King Sarasota will dispatch a team of licensed and insured movers to your home. Although the term “movers” might not be entirely accurate. That’s because this crew isn’t moving your junk from one place to another but instead giving it a one-way ticket out of your home. Where will your junk end up? It won’t automatically be tossed into a landfill. Junk King would much rather drop your stuff off at one of the many reparable charities in the Sarasota area. That should make you feel good about getting rid of all those old clothes and household goods because nothing is going to go to waste. One session with Junk King Sarasota is all it takes to make plenty of room in your home. This entry was posted in junk removal and tagged Junk King, junk removal, stuff on December 27, 2016 by Tomas Jasek. Last updated August 15, 2017 .